We are excited to announce that we will be opening a new facility in Chapel Hill on July 1! Chapel Hill is a town with personal connections for us. Many of our management team live in Chapel Hill (one is a UNC alumnus), and our owner launched his medical career there in the 90s. We'll be located in the Chapel Hill North shopping center at 1840 Martin Luther King Blvd, Chapel Hill. 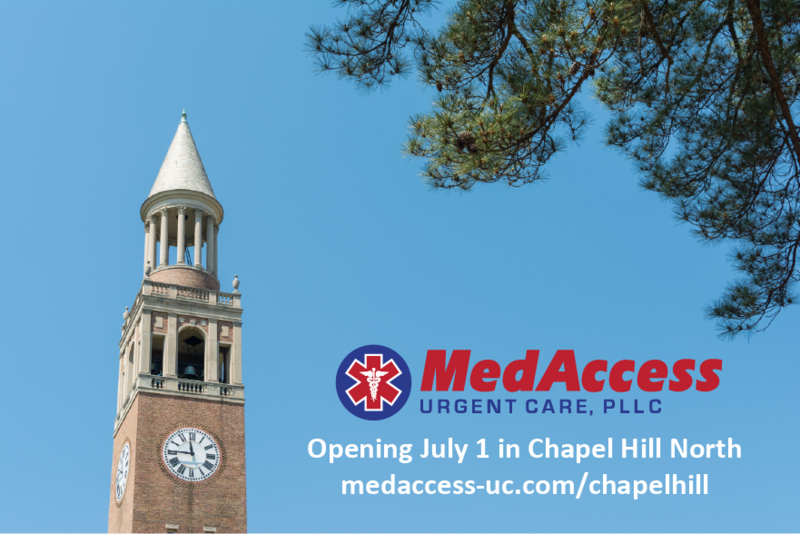 We are looking forward to this opportunity to serve our Chapel Hill friends and neighbors and to increase the expectations for quality of care and customer service for unscheduled medical visits in Chapel Hill!